Trend alert: Open Shoulder Tops are one of this season's hottest trends. It looks good on everyone, at every age. As we head into Spring, this must-have is our current obsession. 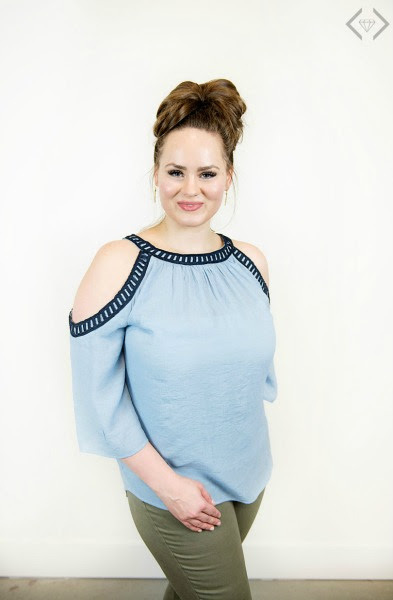 With Style Steals today, Cents of Style is providing 6 excellent options to try this trend: Tehy have a variety of colors available, in multiple styles, sizes S - 3X, and they are all amazing. Style Steals - 3/6/17 - Open Shoulder Tops for $10 Off (Starting under $15!) + FREE SHIPPING w/code COLDSHOULDER and it will take $10 off, with FREE Shipping! Prices will start at $14.95 and everything will be under $20. There's something feminine and a little fun about an open shoulder top. It gives your outfit just the right amount of style. Pair a flowy top with skinny jeans for a great Spring look. Your shoe can be a cute flat or bootie, depending on your mood. Pair your open shoulder top with your favorite shorts. The open shoulder gives your outfit that extra bit of swagger, but keeps your coverage level ideal for Spring days. Tuck your top into your favorite skirt for a fun and flirty look. A-line or pencil skirts will both work for an effortless pulled-together vibe. Consider trying a floral skirt for some extra Spring flair.